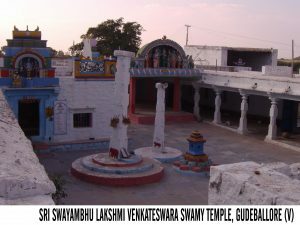 Swayambhu Sri Lakshmi Venkateshwara Swamy Temple of Gudeballore is Historical one. Previously this village was known as “Gundilapuram” Lord Venkateshwara Swamy along with Lakshmi Devi came to this hill to fulfill the desire of Mandavya Maharshi. Long back this area was called as Gundilaranya. Once Mandvya Maharshi is going to Tirupathi for Participate in Brahmotsavas, when he reached to Krishna River, it was flowing fully and he received a message from the God to stop at Gundilaranya and these only God will come to him, and went for Tapas for 8 Months, then he got the mercy of Land Venkateshwara, and during the period of Tapas the cowboys has given the cow milk for Maharshi as food so here the all types of Pujas will be done by that particular family who called as Golla. Every year in Chaitra Masa Brahmotsavas will be conducted for 15 days (from Chaitra Padyami to Pournima). Lakhs of People come from surrounding areas and participate in these festivals, especially from Karnataka, Maharashtra and many people will come to Brahmotsavas. Pilgrims from surrounding villages participate with agricultural implements and bullocks, carts. The devotees feel that because of the God, this area is covered with good crops and protected from natural calamities. Mudmal located 12 km from Gudeballore village Hyderabad-Raichur Highway. On the Bank of Krishna River, historical Math of Yadavendra Swamy, who was the contemporer of Raghavendra Swamy of Mantralayam, which belongs to Madhva Cult. Yadavendra Theertha Swamy was Principle disciple of Pudenda Swamy of Madhva cult and he left to North Indian tour at that time Sudhendra Theertha want to give the charge to his Uttaradhi Kari so Yadavendra Theertha was not available at that time. He selected Raghavendra Swamy and given the charge of Mathadhi Kari. After return of Yadavendra, Raghavendra offered the charge but Yadavendra not accepted that and left towards Mudumal village on the bank of Krishna river and did Tapas and Ended his life with ‘Sadhana’. Every year Aradhana Ustavas for one week and lakhs of people of Madhva cult come to Mudumal and offers their devotions to Swamiji. 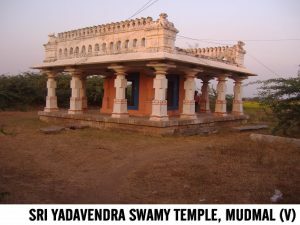 Now, we can see the “Brindavana” of Yadavendra Theertha Swamiji at MudumalVillage. It’s a beautiful location on the bank of KrishnaRiver. We also find a ShivaTemple of 4 dwaras. Four types people will visit lard Shiva, from East-Human beings from West Gods, from North Yakshas and from South Rakshsas will visit and pray the God. Yadavendra Swamy belongs to Raghavendra Swamy, so the devotees of Raghavendra Swamy visit this place very frequency. We also find Hathiram Baba Math here ruined structure of Hathiram Math, which belongs to Tirupathi having one Mandir and place here Krishna River flows in angular Manner and looks very beautiful. Krishna village is a pilgrim centre. This is the first village after the Sangam Kshetram of Krishna & Bhima Rivers. So all feels that the result of Sangam will get here. Many people from Karnataka and Andhra Pradesh come here and completes their elders’ ceremonies and every day some hundreds of people perform ceremonies. 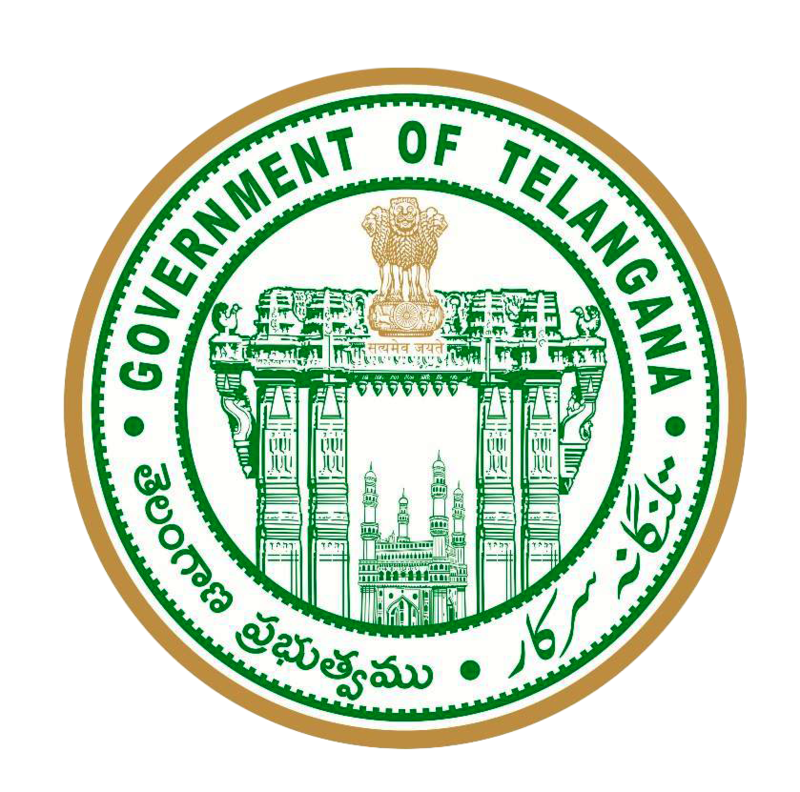 The oldest railway bridge was constructed across the KrishnaRiver with Iron & Led by the Nizam Government and also located in KrishnaVillage. It was an Engineering Wonder and strongest Bridge till today. Ksheera Lingeswara Matham is also one of the Greatest Landmark of this village. Swamy Ksheera Linga was the great devotee sacrificed his life and went for Samadhi here and he established ShivaTemple here. This Math is a faithful place for many people. In the Sankranthi season, the festivals of Temple will be performed every year. Nearly two lakhs people visit during festival (Jatara) period. On every Wednesday, local sandy is available in this village from past 100 years. “NA GANGA, NA GAYA, KASHI NA VENI, NA CHA PUSHKARAM NA CHAPI KOURAVA KSHETRAM BHEEMA DAKSHINA VAHINI”. On the Dakshini Vahini Bheema, one can see at Andhra Pradesh for GKM only from Sukurlingampally to Sangam of Krishna Bhima Rivers. This Southern flowing Bhima is very pure and having special significance in Hindu Culture. Swamy Krishna Dwaipayana Theertha belongs to Uttaradhi Math of Madhva Cult. He was disciple of Swamy Vedavya Sateertha. After taking Sanyasasrama, he moved to many places in the country. He was good scholar and studied vedas & puranas, having good command on Hindu Mythology. He got Vairagya on physical life and entered into philosophical life. He was principle disciple of his Guru. According to the order of God Swamy came to the Bank of Bhima River near to Kusumurthy Kshetra. He ended his life with “Sadhana” towards God and got Moksha.